SEOUL, Jan. 23 (Yonhap) — Star producer Na Young-seok’s reality program “Youn’s Kitchen 2″ ranked No. 1 on the weekly TV ratings chart, data showed Tuesday. The reality show of four Korean actors running a Korean restaurant in Spain garnered a score of 237 on the Content Power Index (CPI) for Jan. 8-14. Premiered on Jan. 5, it was quick to prove its popularity: Its second episode recorded a viewership rating of 14.8 percent, a record high for an entertainment show on the network. Among many factors, the viewer’s sympathy for the cast can be attributed to the show’s early success. 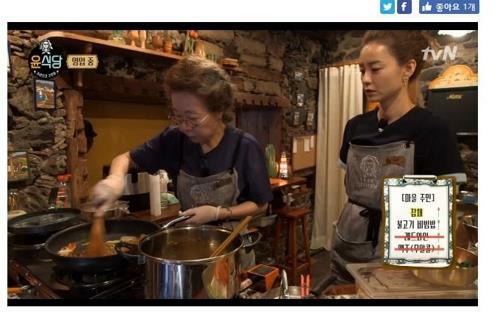 Running a mom-and-pop restaurant isn’t an easy task in a foreign country, not to mention in Korea, to begin with. The cast members struggle in creating new menus and attracting foreign customers mostly unfamiliar with Korean food. A language barrier isn’t helpful either. 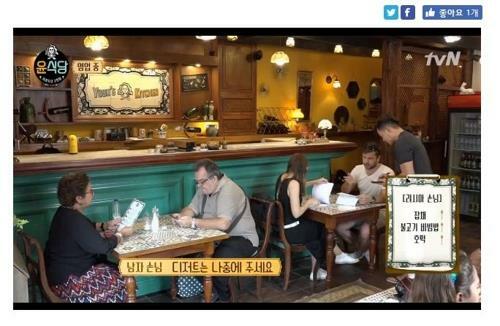 On the other hand, viewers are thrilled and relieved to see customers enjoy Korean food as if they were the owners themselves. The breathtaking views of Garachico on Tenerife, the largest of Spain’s Canary Islands, where the restaurant operates, keep the viewers’ attention. At a talking session shortly before the series premiere, actor Lee Seo-jin said he was already thinking about Season 3. “If ratings hit 15 percent or higher, we will produce a third season. So please watch the second season if you want us to make the next one,” he said. He joked that he’s already designed staff uniforms for the third season.